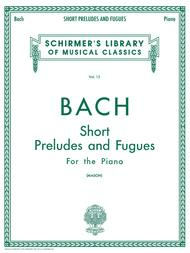 Schirmer Library of Classics Volume 15 Piano Solo. Composed by Johann Sebastian Bach (1685-1750). Edited by W Mason. Piano Collection. Fugue, Baroque, Prelude, Classical. 40 pages. G. Schirmer #LB15. Published by G. Schirmer (HL.50252050). 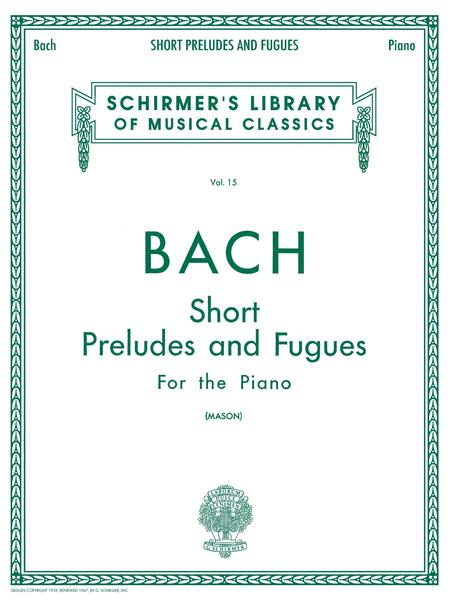 Contents: Fugue in C * Little Two-Part Fugue in C minor * Prelude & Fughetta in D Minor * Prelude & Fugue in A Minor * Prelude and Fughetta in E minor * Six Little Preludes * Twelve Little Preludes. I have always had good luck with music published by G. Schirmer. Printing is clear.